Drs. 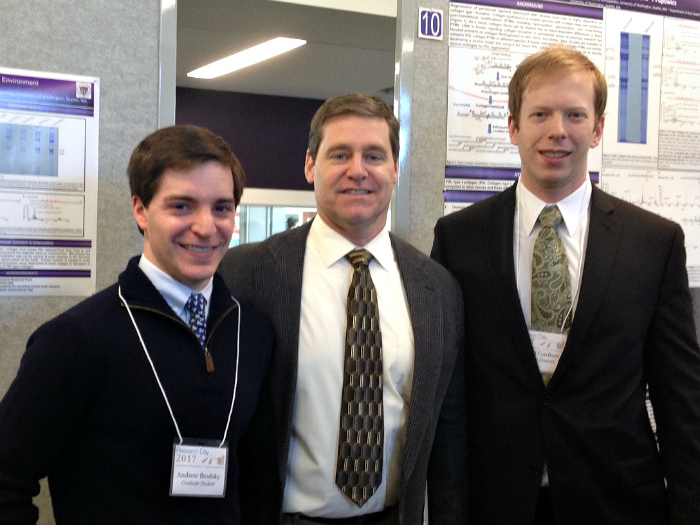 Andrew Brodsky, Douglas Dixon and Mikhail Garibov at Research Day 2017. On Tuesday, January 31, 2017 the Department of Periodontics was well represented at the School of Dentistry Research Day 2017 poster session with residents Andrew Brodsky, Mikhail Garibov, Alex Ko and Yu (Ruby) Lwo, as well as PhD candidates Shatha Bamashmous and Nutthapong (Tom) Kantrong (both in Dr. Rich Darveau’s lab), and SURF student Sesha Hanson-Drury (in Dr. Jeff McLean’s lab). You can read all of their abstracts in the official Research Day program here. Drs. 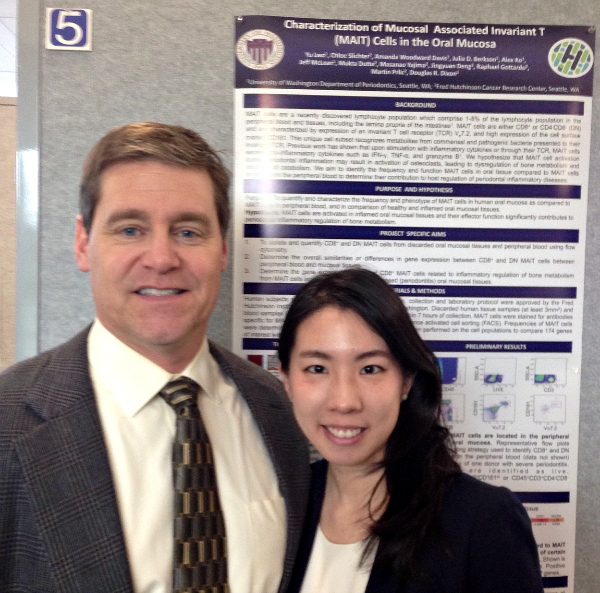 Douglas Dixon and Yu (Ruby) Lwo in front of Dr. Lwo’s poster at Research Day 2017. Congratulations to all of our winners and participants! This entry was posted in Awards, Events, Research, Residents and tagged award, recognition, Research Day, residents, School of Dentistry on February 3, 2017 by Meghan Guillen. Welcome to the UW Class of 2020!